In recent history the annual CES events in Las Vegas have been dominated by bigger, better, and more vibrant TVs. While it is great to see this tech develop it somehow seems disconnected to the PC monitor market which HEXUS readers are usually most interested in. 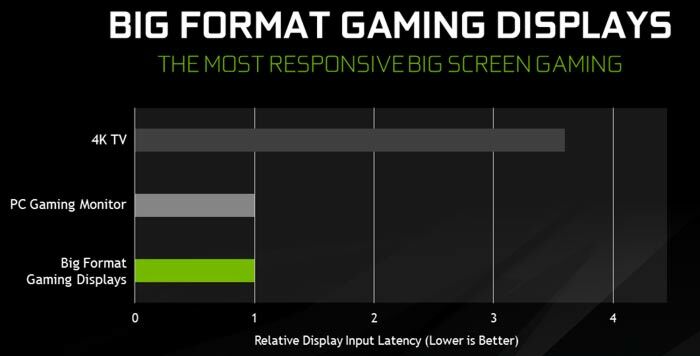 This year Nvidia is seeking to eliminate this disconnection by introducing its new Big Format Gaming Display (BFGD) standard. 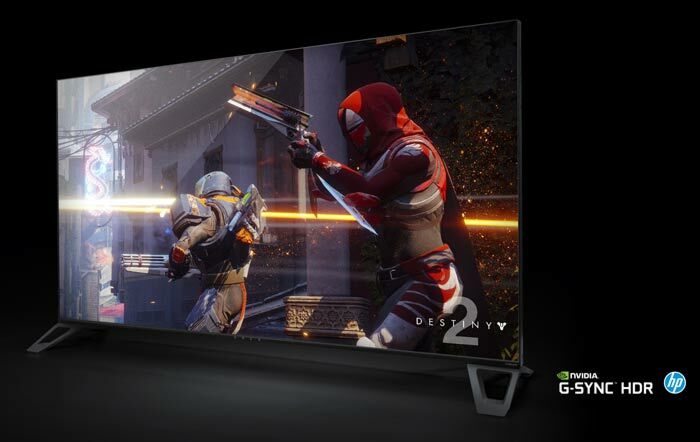 As Nvidia says on its blog, the impressive large TVs at CES don’t often tempt PC owners as they “lack high refresh rates, low latency , PC-tuned HDR, and G-SYNC variable refresh rate technology,” (they don’t often have Adaptive Sync either). However that will change later this year, with TVs coming from the likes of Acer, Asus and HP boasting the best of PC gaming technologies. The first flurry of these BFGD TVs will all be 65-inches in diagonal, will run at 4k at 120Hz, include G-Sync technology, boast HDR with 1000 nit peak brightness, and have an integrated Nvidia SHIELD device providing smart functions like Netflix, Amazon Video and YouTube at 4K, Nvidia GameStream, Android games, Google Assistant, and much more. Nvidia says it has worked for over two years alongside leading panel producer AU Optronics on its BFGDs. As well as the performance noted above, it is interesting to hear that these TVs are built with full array backlights, include Quantum Dot Enhancement Films, and provide DCI-P3 cinema-quality colour gamuts. Film fans might find the BFGD rather appealing with its variable refresh rate tech being able to perfectly match the source material. For example these TVs can be set at 24Hz for cinema-like experiences, or set at 48fps for High Frame Rate content, 23.976fps U.S. broadcast television shows and so on. Though these are self-contained entertainment stations, the BFGDs are also great for direct connection to your PC to enjoy giant-screen PC gaming experiences. Expect the first BFGDs to become available this summer. In the meantime you can read more about the Acer Predator BFGD, the Asus ROG BFGD and the HP Omen X 65 BFGD via the supplied links.